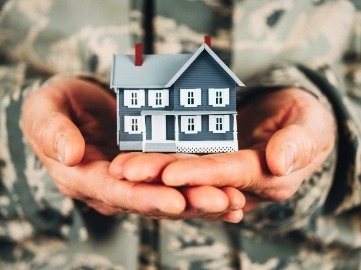 Texas-based Fairway Mortgage is training realtors to better understand and serve veterans through its nonprofit organization, The American Warrior Initiative. After deployment, looking for a home is a top priority for veterans, retired Army Capt. Sean Parnell and AWI co-founder told KWTX 10. "Most of the time the first thing they do is talk to a real estate agent so they can live the American dream they fought to protect," Parnell said. Since realtors are some of the first people veterans have to interact with, AWI leaders said it is essential to show compassion and understanding to veterans. Fairway employees are taught with VA procedures to better help veterans, and they also donate parts of their paychecks to local veteran families. In a recent event, Fairway employees donated $17,000 to a retired Air Force staff sergeant. "Navigating the VA bureaucratic experience is a nightmare whether you're getting health care benefits or trying to buy a home,"
The AWI co-founder also said more companies should be training their employees to serve those who have served. "Our local community should be able to wrap their arms around them and that's what we're doing."